Personalised leak proof Contigo Cortland water bottles – only need one hand drinking – comes in 946ml and 710ml – and stainless steel in 591ml. 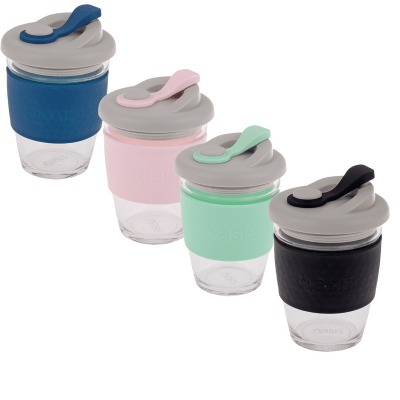 The Cortland bottle is very easy to drink from – flip up the lid and press the button on the back of the bottle to open the spout and start drinking – when finished push the protective lid over the spout/opening to stop germs etc getting in. It is BPA-free, does not leak, got a clip on the handle so easy to attach to your bag – and with a name permanently marked on the handle it is perfect for kindy, school, gym, work etc. Name/text will be permanently marked on the flip down lid on top of the bottle. The bottles have the well known Contigo autoseal so no leaking and very easy to drink from. This bottle is also very easy to clean as you can open up the inside of the lid for easy cleaning – ok on top shelf dish washer. You can now buy this bottle un-personalised or for $5 extra get a name/text permanently marked on the lid. Please Note: The name/text will come up in a greyish colour when marked on the dark grey lid and come up in very dark grey/black when marked on the white lid.